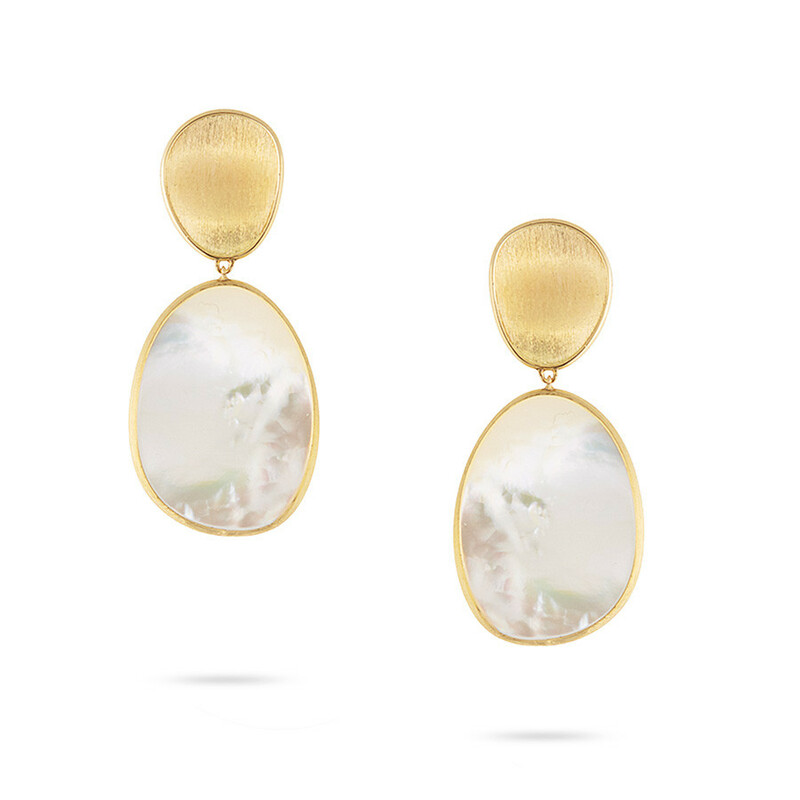 These drop earrings from Marco Bicego's Lunaria collection features petals of precious metal and white Mother-of-Pearl. The elements, inspired by the lunaria flowering plant, can transform your look quickly and easily! Hand-crafted in 18K yellow gold by Italian artisans, using the time-honored bulino technique, the earrings have a look that is unmistakably Marco Bicego.